Street parking also available. Complimentary valet parking offered Wednesday, Thursday, Friday and Saturday nights.And also Saturday and Sunday mornings. 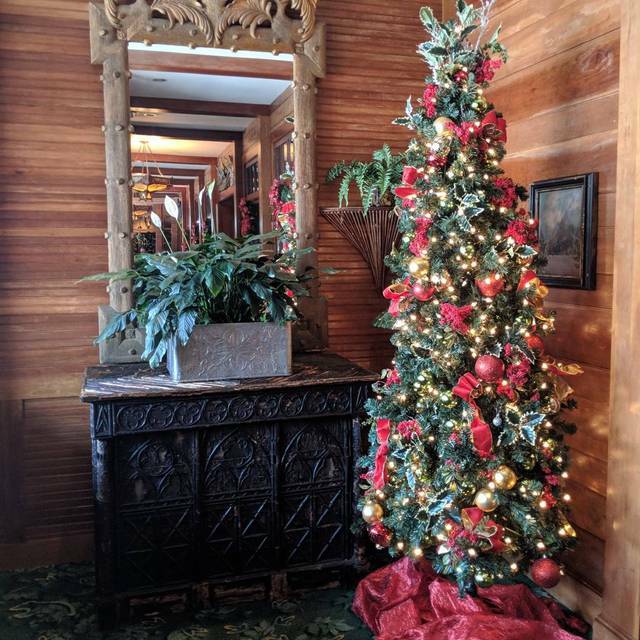 With the look and feel of one of the "Great Camps" of the Adirondacks, Tower Oaks Lodge serves an American-style saloon menu. Adjacent to a 21-acre nature preserve, Tower Oaks Lodge is located just off I-270. The raw bar features oysters from both coasts. Clyde's hamburgers are 6 ¾ ounces of locally ground chuck sourced from Cedar River Farms®. Grill items are served with lettuce, tomato, pickle and your choice of french fries, fruit, small mixed greens salad, or small Caesar salad. Chili, sautéed mushrooms, or sautéed onions are available at 29¢ each. Gluten-free bread available, additional 1.00. (GFr) We offer select gluten-friendly items and can modify others upon request. Care is taken to avoid cross-contact, however our kitchen is not completely gluten-free. Before placing your order, please inform your server if you have a food allergy or dietary need. | *Some items may contain raw or under-cooked ingredients. Written information is available upon request regarding the safety of these items. We had a wonderful meal and great overall experience at Tower Oaks Lodge. Toni, our server, was superb. She took our orders expeditiously and delivered our orders promptly. She was very friendly and was most attuned to my food allergies. We both had steaks, which were grilled just right and accompanied by excellent salads and sides. A great meal in a very nice atmosphere. Very highly recommended. Tower Oaks is a wonderful and unique restaurant. The service and food were great. I highly recommend this restaurant for any occasion. Delightful location for a birthday party. 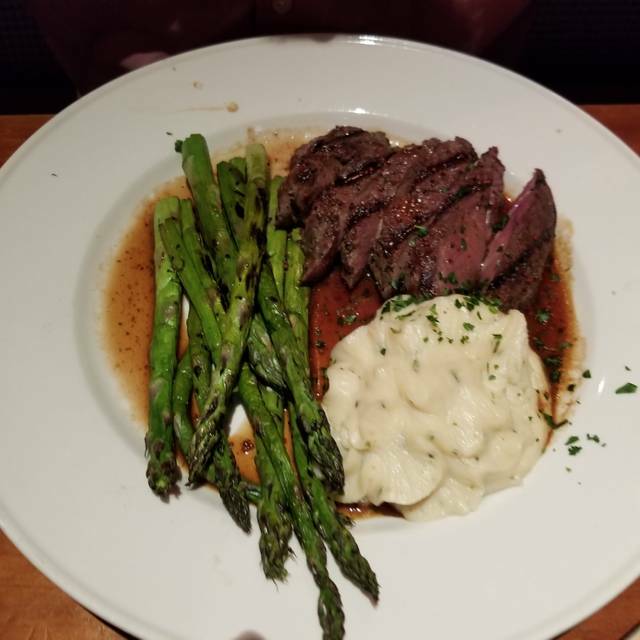 The food was excellent, the service was attentive. Thank you for making our family outings to Tower Oaks Lodge so enjoyable. It's a great place to take my elderly aunt who is 86 and in a wheel chair. She loves the French dip sandwich, which is hard to find in other restaurants, and the excellent service we always receive. The staff is always so attentive and the food is consistently good. 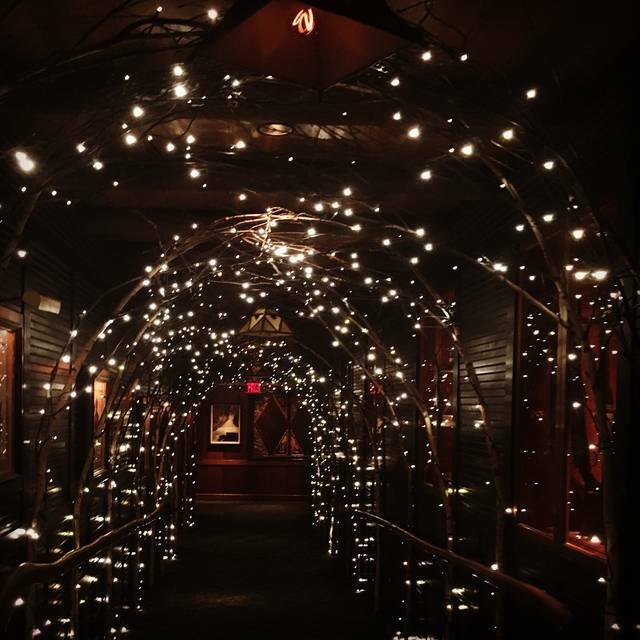 This is a our go-to place for holidays and special occasions. Please keep up the good work. The seafood we ordered was excellent. Our server was very attentive, and the restaurant provided a complimentary dessert for our special occasion. Overall a great brunch. Service was a little slow/inexperienced. We ordered the catfish without dairy (due to an allergy) and it’s nice that dishes are all made-to-order, but they removed the butter/milk and didn’t replace it with anything, so the fish was rather flavorless and the coating very dry/crumbly. Next time we’ll just do a dish that is dairy free to start. Oysters were fantastic and were also half off! $18/dozen is a great price for the quality. I’d go back again purely for the raw bar items. Bacon wrapped dates were also fantastic, and the chia pudding bowl was perfect. This was a long overdue get together between friends. Everything was great. Thank you. We always bring our guests here and Tower Oaks never disappoints. Good food, reasonable price, good service. Great atmosphere with great food. Had kid friendly foods that went outside of the traditional kids menu options! Trout and asparagus were good, however, the rice pilaf was unseasoned with no flavor. I told the server, he replied, “okay “ and that was it! This is my favorite restaurant; I’ve never been disappointed before tho timo. Friendly service & great food. Outstanding service. Food is very good. Very nice setting. Parking is plentiful. So dependable, it will always be a first choice, a default setting, an automatic go-to. 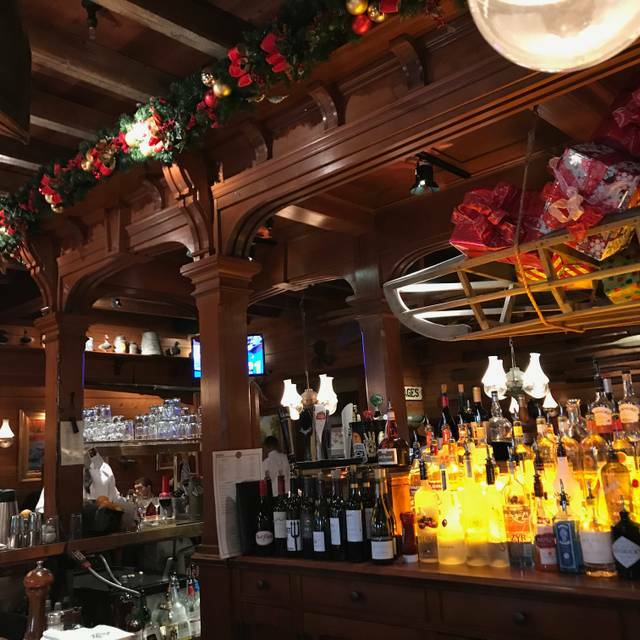 I first became a client of Clyde's when they first opened many years ago and have continues to visit their many restaurants including Tower Oak. I love everything about it...food, ambiance, service. All this at reasonable prices. Thank you. Unique decor and variety of American food. Excellent service. Only a fair selection of wine. Great attention to celiac needs. Delicious food. Great service. Our 5:30 reservation, was at some point changed by management staff to 5:15. Due to a delay in our meeting a member was sent to the location-she arrived at 5:31 and our table had been given away. REALLY! The front of house staff was argumentative and simply rude. We had to wait for nearly 40 minutes to be seated. Our service staff was exceptionally slow-water service, drinks 40 minutes later, a dinner expected to last 2 hours stretched to nearly 3 hours. I have been to this restaurant many times and have never experienced this lack of attention or service level. Coffee arrived cold at the end of our meal, nothing special just coffe (not cappuchino, or expresso). The management of the firm seems to be indifferent to my comments, as I contacted their offices as well. We had attempted to increase our party from 10 to 15 and it took 2 emails and 3 phone cals, the last phone I had to request the location manager to make the requested change. 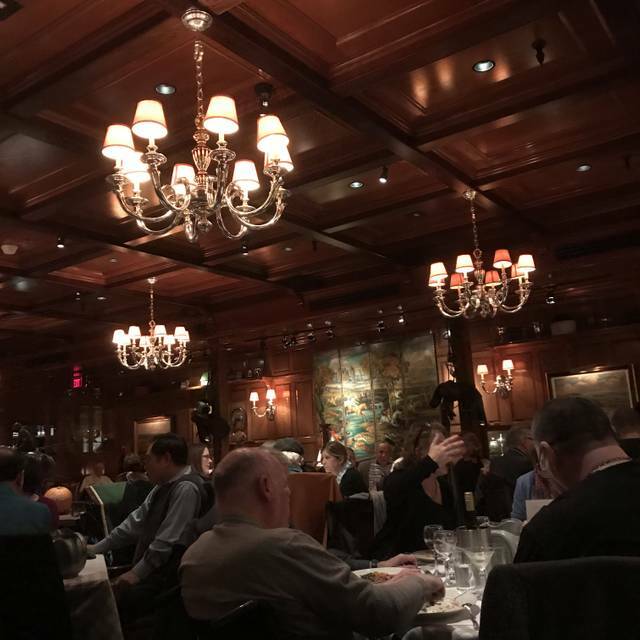 The next time I have such an event our group will not return to Clydes at Tower Oakes, which is sad because the setting is lovely and the food is usually quite good, and usually arrives hot, not cold. Recently for many good dining reasons we chose TO Lodge to treat out-of-town guests. Much to my disappointment TOL service and food were not on top of their game!!! The guest who ordered Country Ham (because of the country ham) was served lunch meat ham!!!! Our gracious guest ate the lunch meat anyway so she could eat her meal with the rest of us!!!! I expressed my disappointment to the waiter for not warning us Tower Oak Lodge had no country ham. He told me to come back next week when they probably would have country ham!!! Really???? After that snide comment I complained to the manager. NOTHING was done to address our disappointment. I still left a small tip-probably shouldn’t have left anything!!! I am now reluctant to return to TOL!!! Get your act together or you will lose a loyal customer and I’ll spread the word!!! Once again, a perfect meal and dining experience. Service was outstanding. We went for bunch to celebrate. Everything was fine, I did not find to brunch menu to be very interesting, especially for young teens who were with us. I was expecting more, but it was just average. Nothing remarkable. Cozy ambiance with lots of room for seating. Great food and service. Also, family friendly. We'll definitely be back. Tower Oaks Lodge, as always, is a go to special restaurant. The food, drinks, ambiance, and service is always top notch. Our last dinner there, a birthday event, was up to the restaurant's usual standards. Good for families and others because of visual appeal and menu variety. I hope they put Waredaca Brewing Co. beer back on the menu! That was our only disappointment. Our parents 50th year Anniversary. Our server was fantastic; friendly, fun, great with our kids. As always the ambiance was great! The crab cake sandwich was definitely smaller making the $20 for that plate steep, our only small disappointment. Overall, a very nice experience. Always one of our favorite places to visit. Mimosa was delish! Great service. Good ambiance. A bit loud & pricey, but food is good. And best bloody Mary’s in town. The hosts was very rude. She responded to my question not very nice. Consistent but not dull. Creative. Comfortable. Great value. 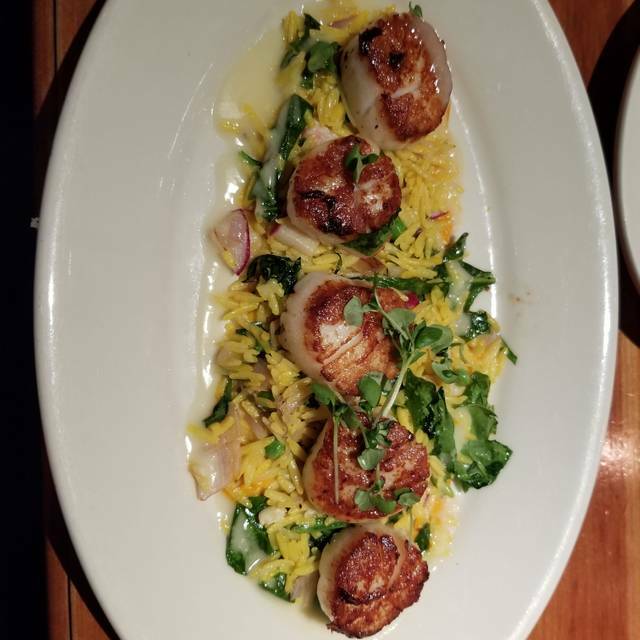 Our go-to place. The venue is perfect for a lunch with friends. Conversation is easy and environment striking. Have never been disappointed in the food or service. 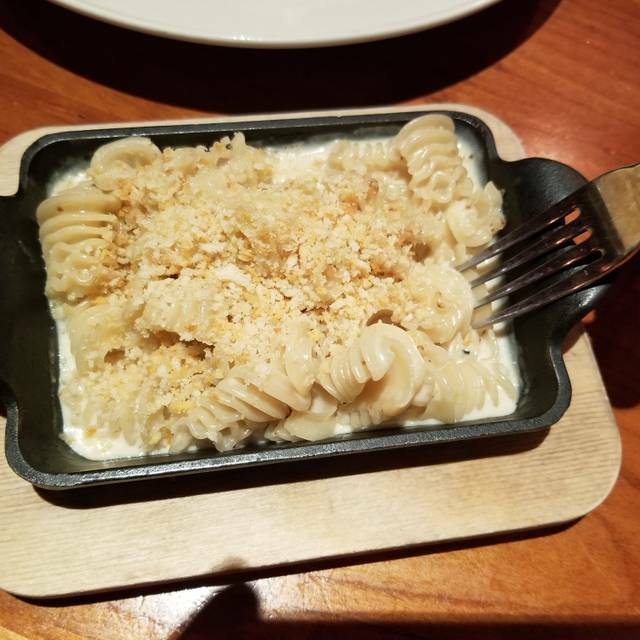 For a "chain" restaurant, the food is conistently delicious on every visit. Service is always courteous and efficient. It's a great gathering place for family and friends. Great setting, decent food, we had mediocre service, and parking was bad. The service was terrible we waited for a long time to order and even longer to get our food. We asked for bread while we were waiting but did not get it until long after our food was finally delivered. It was very noisy. We are unhappy with the new very limited menu choices. The only bright spot was that the staff was helpful with entertaining our rambunctious grandsons. We had a nice time. It was very busy and the server kept apologizing and was not very attentive. 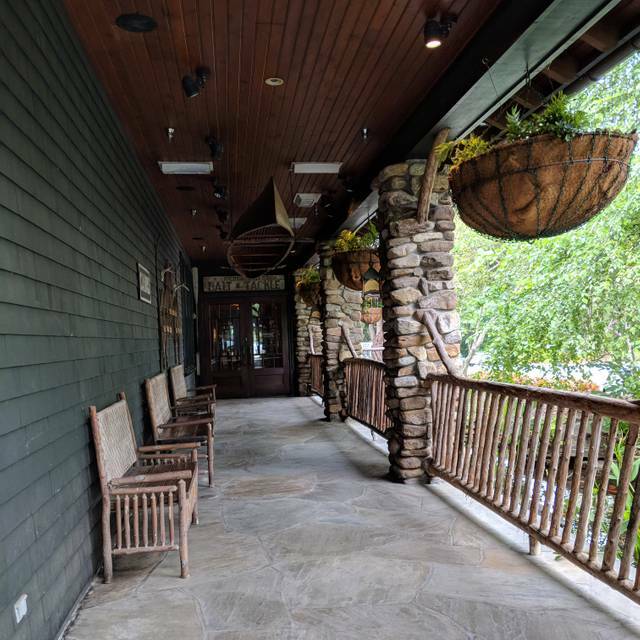 Tower Oaks Lodge was once again excellent with their service and dining experience. I highly recommend this location. Lunch crowd was heavier than usual, so the noise level was louder than usual. Thankfully, we were in a booth in a corner. Food and service was fine, and our waiter kept our cups full with no rush. Great place for lunch! Traveling here for work! Crab cakes were amazing! As always the luncheon was fantastic. 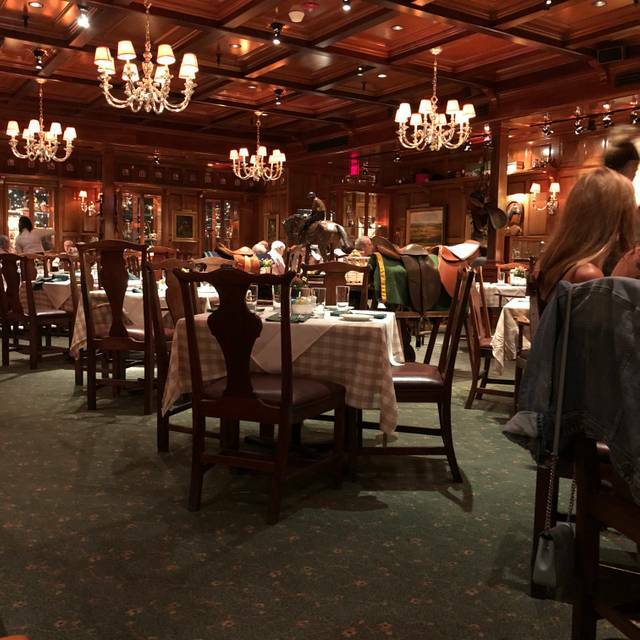 This is the place I always choose for a special celebration because of the ambiance and good reasonably priced food with excellent seasonal choices. Recently there have been lapses in the service as in this last time. Bread was not served until we asked for it. We ordered two drinks but only one was brought to the table and just left there as if for no-one without even saying what it was. I had asked for the salmon rare, but that was ignored. The restaurant wasn't crowded, but the service really used to be better. The food is still really good and fresh and the pate appetizers was beautifully presented and a very good value.